Awesome dress to highlight her charm and grace from Angels Garment. 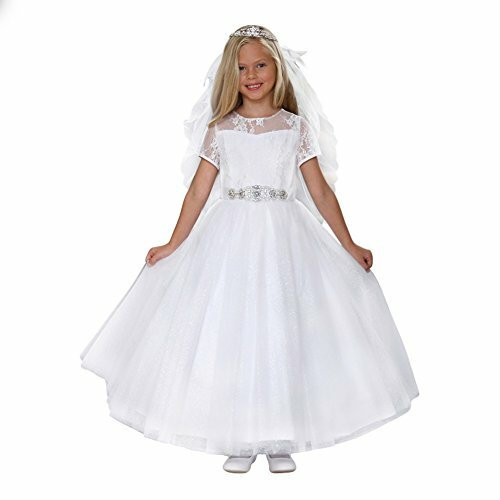 Stunning flower girl or First Communion dress with lace top & sparkly tulle skirt. Decorated front sash & back bow are attached. Adjustable lace up corset back. Fully lined with ruffle netting attached to skirt. Model is wearing an optional petticoat for added fullness.